There are a lot of things you’ve got to think about if you’re trying to build muscle. How often you’re training, the types of lifts you’re doing (compound exercises are a trainer favorite), and what you’re fueling your body with are all important factors to get stronger and build muscle. Eating protein, carbs, and fat and doing more complex exercises like deadlifts and pull-ups are great for improving strength, but there’s one thing you’re more than likely not doing — breathing. Focusing on your breath isn’t solely reserved for your favorite yoga class or your meditation practice. Breathing properly while weightlifting can help improve both your core and overall strength. 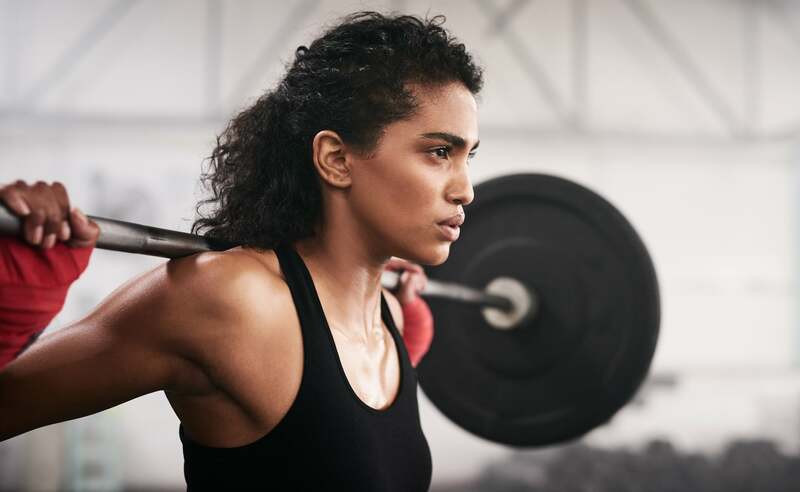 To find out how you should breathe when lifting weights, POPSUGAR spoke to Heather Milton, MS, RCEP, CSCS, an exercise physiologist and clinical specialist at NYU Langone Sports Performance Center.